Performances feature members of Aboriginal tribes in Taiwan, as well as artists and performers from the United States and Taiwan. 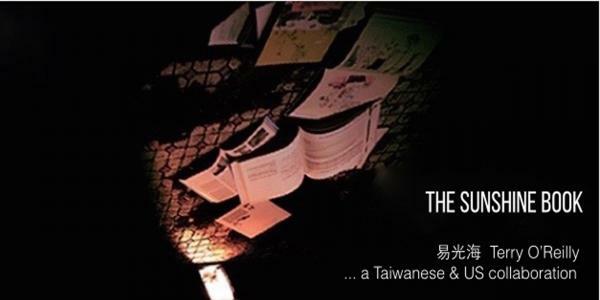 The expanded text by Mabou Mines writer director Terry O’Reilly is intended for the particular interests of the Taiwanese people. The initial trailer is now here! Click here to view. Development originated in the US in 2013 and continued in Taiwan in 2014 with the support of ACC Taiwan, and the Taipei Artist Village/Treasure Hill Artist Village AIR residency program, MOC Taiwan. Terry was also a Fulbright Senior Scholar at Taipei National University of the Arts (TNUA) in Theater Anthropology for 2014-2015. A second major residency was completed in 2015-2016 at the Bamboo Curtain Studio in Taipei. Written to be performed in two languages, The Sunshine Book is slated for production by TUNA in Taipei City in 2017-2018 as a touring show for English and Chinese speaking audiences in Asia, Europe and the Americas. This work is supported by the Asian Cultural Council New York and Taiwan, Mabou Mines, Theater Communications Group US; and in Taiwan by The Bamboo Curtain Studio, Taipei Artist Village/Treasure Hill Artist Village, Optima Taiwan, Digital Arts Center, Jei Chu Sound, Grain Studio, with assistance from The Ministry of Culture Taiwan.